With the TT now more than 20 years old, its significance in Audi's history is starting to be fully appreciated. Picture, if you will, Audi before 1998 - rather staid, worthy and not all that interesting. There had been one RS model (with some considerable help from Porsche), and the saloons were quite handsome things, but for actual desirability there's no way buyers would look to Audi with the same affection then as they do now. 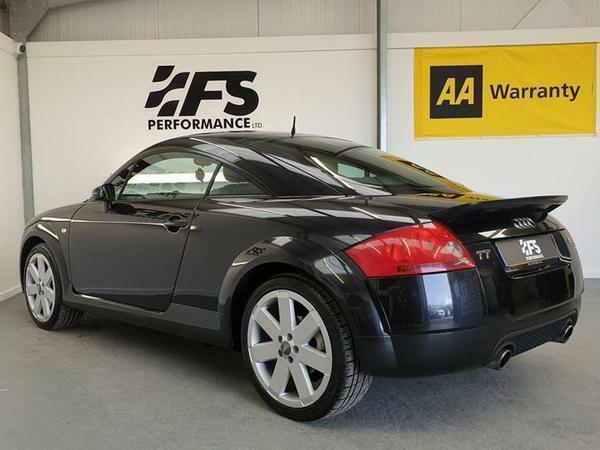 The TT marks the beginning of 21st century Audi; perhaps not everything that's been produced under it has been flawless, but think of what appeals about Audi now - the styling, the interiors, the performance - and all that can be found in the original TT. It achieved considerable success, so it made sense to jazz up the rest of the range accordingly. That an Audi sports car - alright, an Audi coupe - proved so popular must have given greater impetus to proper sports car projects like the R8. Maybe. OK, so perhaps that's a step too far, but the TT is really important to defining modern Audi. As a result, and because the original is still such a good-looking car, values have been strengthening over the past couple of years. The 20th anniversary has passed, some cars will have been lost to scrappage schemes and the run-out Quattro Sports have been hot property for a while - expect to pay £10k for a good one, if not more. 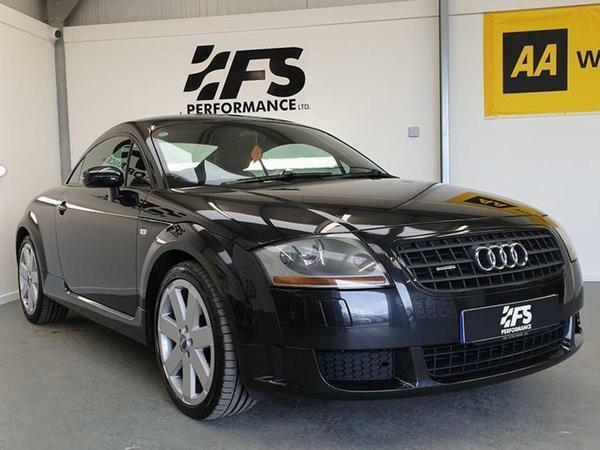 All of which makes this 3.2 V6 Coupe look quite interesting. You'll remember the V6's introduction was notable for having ushered in the revolutionary DSG gearbox as well, but this one uses the six-speed manual. Funny, isn't it, how a 3.2-litre TT with a manual wouldn't have seemed at all notable in 2003, yet now that engine sounds almost ludicrously large for such a small car, and the manual offers a welcome bit of extra involvement. Common belief is that the smaller a TT's engine is, the better it is to drive. Probably true, but then no TT is really renowned as a dynamic gem, and arguably group test rankings become less and less relevant as a car ages. It's about what you're after in a used car, and the prospect of that sonorous V6 in a compact and attractive coupe (with a manual) sounds a more attractive one now than it probably ever has. This particular V6 is just £4k, a reflection of its six-figure mileage. But you wouldn't have guessed, would you? The paint and wheels seem decent, and even the seat bolsters appear to be in one piece. The ad says the service history is full, the MOT recent and the water pump/thermostat changed not too long ago. Bear in mind that there are only three other V6 TT Mk1s currently on PH, and not a single other manual Coupe, and this car's case gets stronger. Sure, there will always be more dynamic alternatives to a TT, be they its coupe contemporaries or hot hatches. But for combining big hearted V6 appeal and an aesthetic that's only getting better with age, all for thousands of pounds less than an equivalent Golf R32, the time could well be now to consider the TT. I followed one of these through town yesterday - never been a huge fan, but it does have a really nice exhaust note. Price now £99950 according to PH towers proof reading or £4450 in the advert! I have one as a daily runner. It’s comfortable, quick and fun to drive. The Bose sound system is excellent and heated seats keep you toasty on cold days. Mine is a bit of a shed, done 87k miles and was purchased for £2,200. What’s not to like? I've got a mint 05 blue manual one. I have to say it's brilliant, never let me down.